ANOTHER SCRAMBLE IN THE BOOKS! 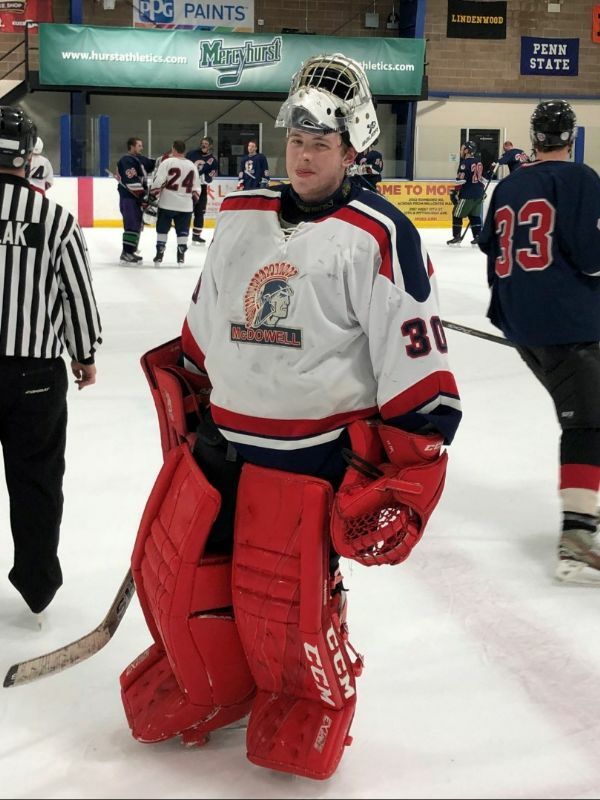 McDowell Hockey would like to announce the appointment of Hunter Cunningham as Varsity Head Coach for the upcoming 2019-2020 season. Coach Cunningham started with the club in 2017 as an Assistant Coach on our Junior Varsity team. Upon his hire, he immediately became an integral piece of the puzzle in the Trojans’ rebuilding efforts with player recruitment, selection and development. 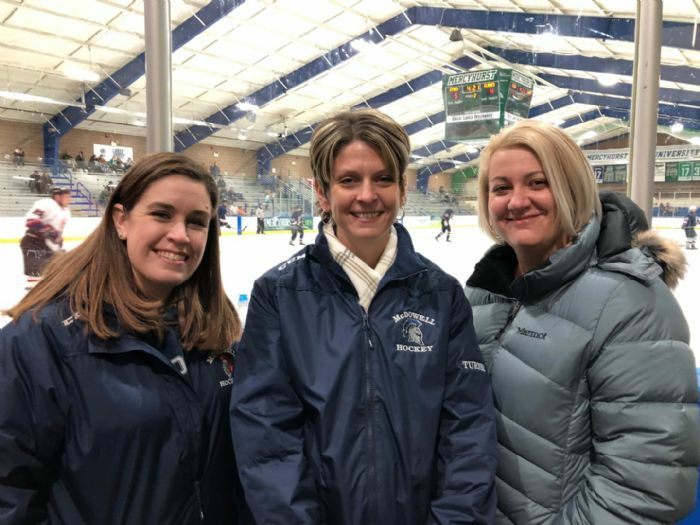 This season, Cunningham stepped into a more prominent role with the program as the Head Coach for the JV and tournament teams and an Assistant with the Varsity squad. 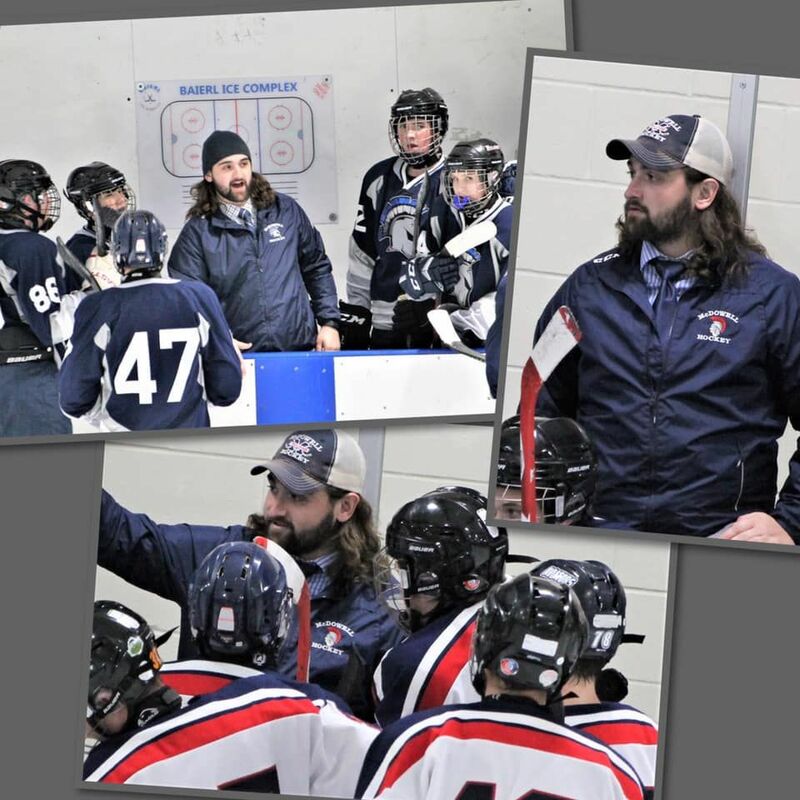 While his concentration was initially on the offensive side of the puck and fundamental skill development, Coach Cunningham's selection as Varsity Head Coach will enable him to prioritize the progression of our players from the more developmental side of middle school and JV to the more competitive Varsity level. 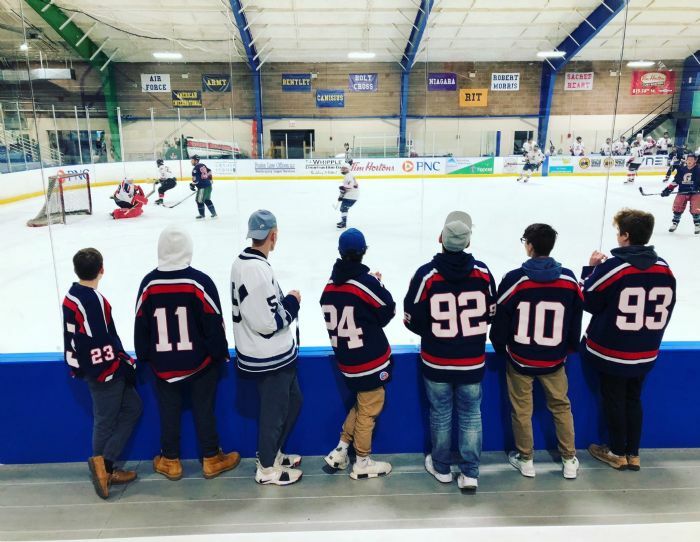 Varsity Captain Dominick Bartell had this to say recently about Coach Cunningham; "He is one of the best coaches I have had in my hockey career. He has so much knowledge of the game and he is willing to share and teach that to all of his players. He worked with me a lot these two seasons and has made me a better player and person, on and off the ice." 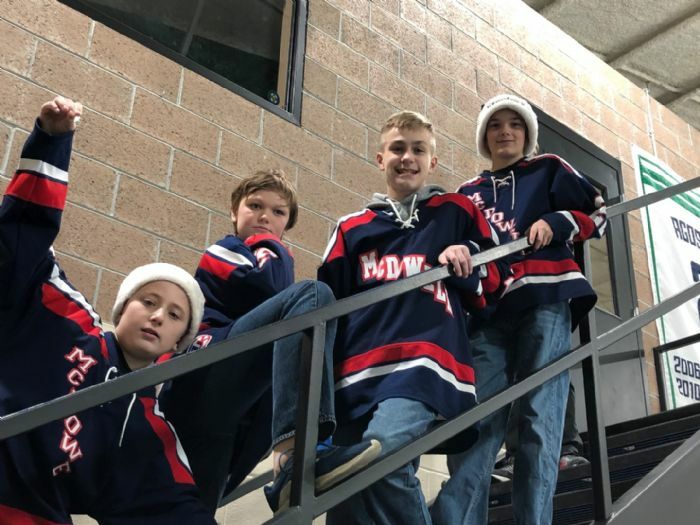 "My goal is to be lucky enough to coach kids for 7 years - they get here as a 6th grader on our middle school team and leave here competing at the highest interscholastic level for their school as a senior. To have the chance to work with kids over that period of time and really impact their game and their development as a player - that's the goal. We have a strong nucleus of kids that started with this high school team two years ago. They put playing for their school as a priority. We see our middle school players moving up with the same mindset and the same intensity. That's what we want and we are all working to build a program they can be proud to represent." Skill development of our younger players will fall on Coach Sean Perhacs going forward as he assumes the head coaching responsibilities for our JV team. Coach Perhacs has lead our rebuilding efforts over these last three years, coming in at the end of the 2016-2017 season and helping with our Middle School team before taking over the JV team in 2017-2018 and leading them to a 25-5-2 inaugural record. 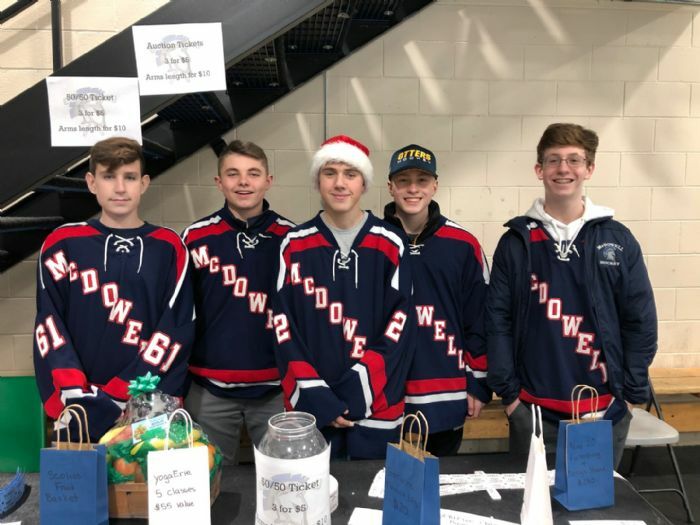 His efforts culminated this season when a McDowell Varsity team took to the PIHL ice for the first time in more than 5 years. Under Coach Cunningham's direction, Coach Perhacs will work with our Middle School coaches to ensure that players are trained and developed to succeed at the high school level and will then be charged with guiding them through the transition from middle school to Junior Varsity competition. 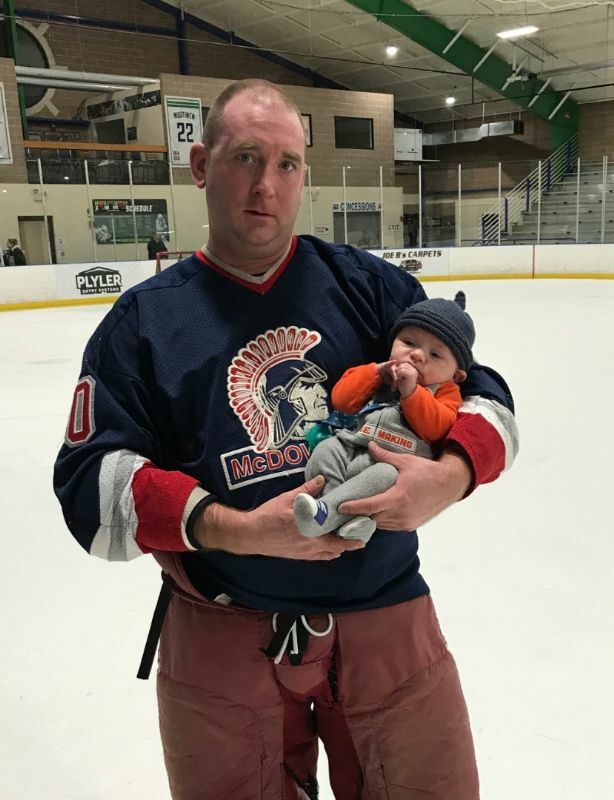 McDowell Hockey alum Todd Redmond will provide the unifying factor between the two high school teams with a position as an Assistant Coach on both the Junior Varsity and Varsity teams for next season. Coach Redmond played for McDowell in high school and has coached at the travel level, most recently with the Erie Lions 16U team. Redmond joined the Trojans this season as an Assistant on Coach Cunninham's JV team where he was integral in the development of the team's young talent. Tryouts for the McDowell High School team will take place on Sunday, April 14th from 7:30pm-9:00pm at Erie Bank Sports Park. Please email mcdtrojanshockey@gmail.com to get on our mailing list. 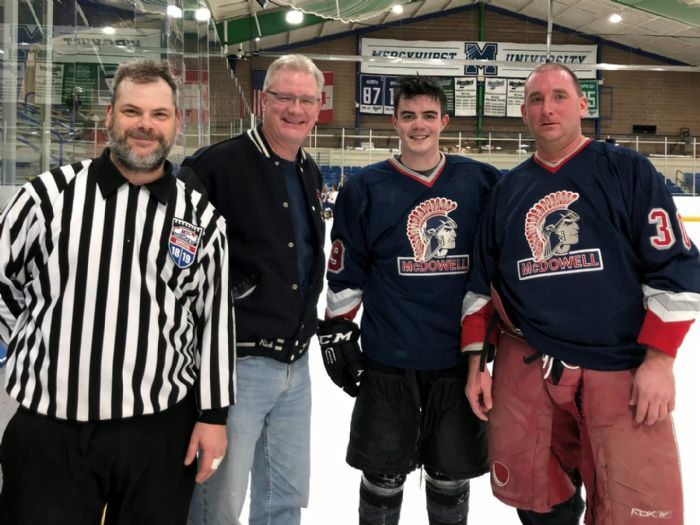 McDowell's annual Alumni Game took place on December 22, 2018 at Mercyhurst Ice Center. 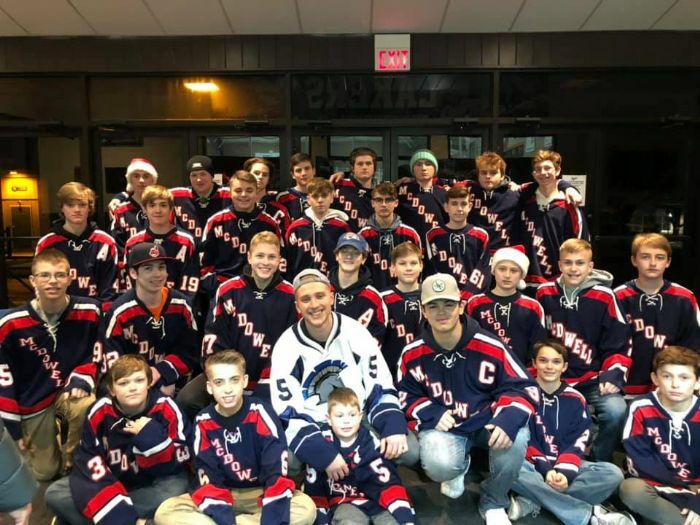 More than 25 former McDowell players took time away from their busy holiday schedules to join their former teammates on the ice in the annual tradition. 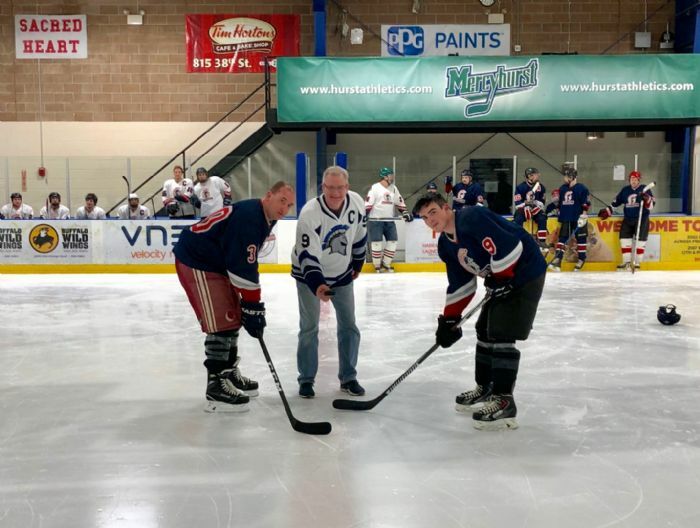 This year, McDowell Hockey took the opportunity to highlight one of our program's most steadfast supporters; Rick Rohan. Rick is a former parent and Board member of the Club and currently runs the program's alumni group. He is the driving force behind our Alumni Game each year and there is quite literally no one that could do it better. In recognition of his support of our program, Rick was named an Honorary Captain for the 2018-2019 season, an award that was presented to him by Senior and Assistant Captain, Dominick Bartell. Together, Rick and Dom also took the opportunity to show off the club's new uniforms which will be used beginning with the Varsity team's game against Morgantown on January 3rd. Below is the presentation read in Rick's honor. 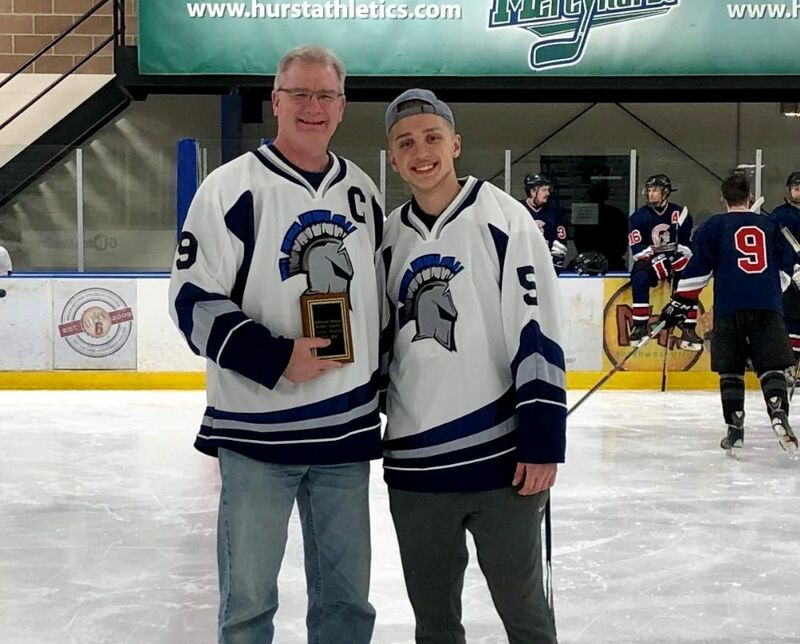 The McDowell Hockey Club would like to name Rick Rohan as our honorary captain for the 2018-2019 season in recognition of his years of tireless service in support of our program. While Rick will waste no time this evening praising the efforts or our Board, parents and coaching staff for the rebirth of this program, truth is, he has been an integral piece of the process himself. His passion for McDowell hockey is evident in every phone call he takes, every bit of advice he offers and every ounce of support that our Board, our Coaches and our players receive. He has made himself available to listen to issues we encounter, provides feedback and perspective for charting a path forward and offers up constructive criticism when we need it. 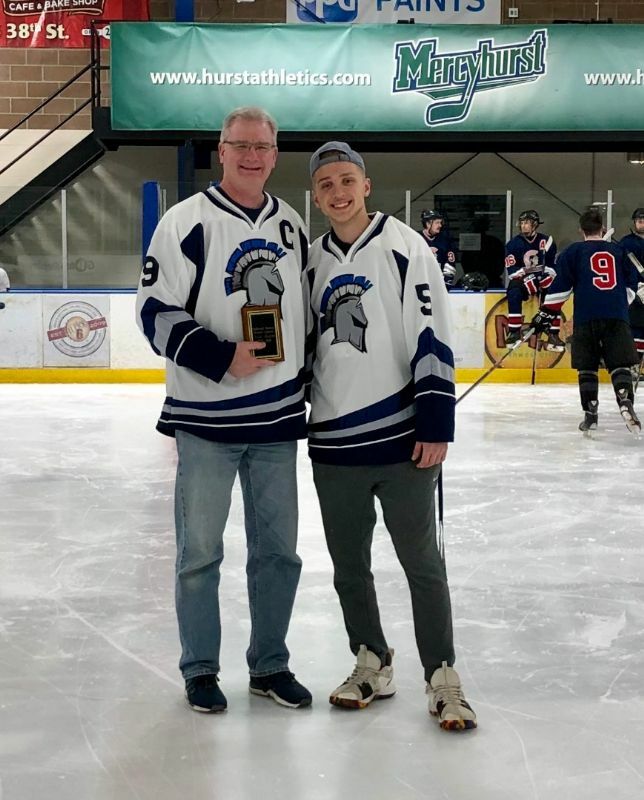 It is a totally accurate statement to say that McDowell Hockey would not be forging this current path without Rick's tireless commitment to our efforts. The McDowell Hockey Board and Coaching Staff would like to again extend our gratitude to Rick for all he does in support of McDowell Hockey. 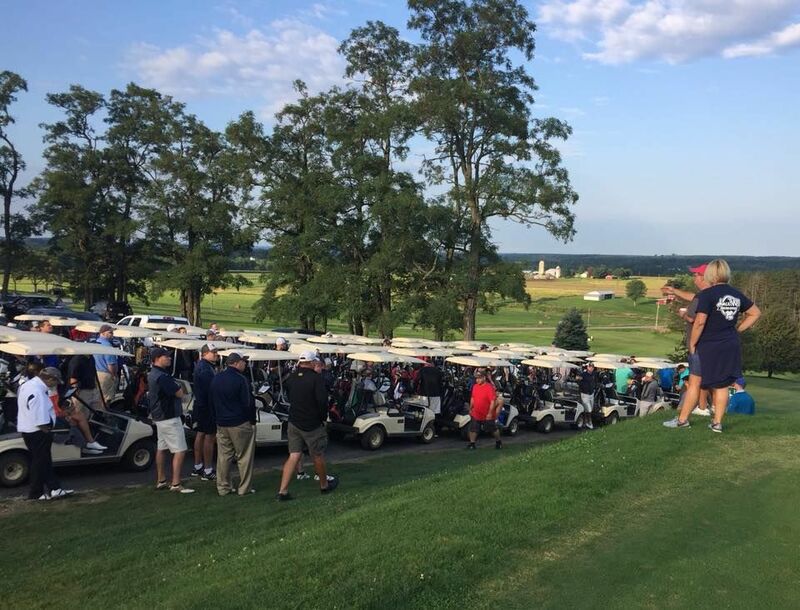 Last Saturday, the Club held our 3rd Annual Golf Scramble in support of our three teams. With more than a 140 golfers on two separate flights, the event was a huge success. Thank you to all the parents who worked on the event committee and spent their Saturday making sure the day went off without a hitch. Special thanks to the coaching staff that cooked dogs, delivered beer and rolled up their sleeves to get the job done.